Happy Birthday To Vampire Academy Jewelry Artist Psynde! Today is a special day in the Vampire Academy Universe. It's the birthday of our very own Psynde (real name, Synde) of Cemetery Cat Jewelry, who was the first one to create official Vampire Academy jewelry. Her jewelry is very special, very much like art, and very her. You can find Sydney's Necklace in Psynde's Etsy shop, here, along with lots of other beautiful pieces of jewelry. I just love all of Psynde's jewelry, and in this blog post I wrote last year, you can see my pieces. Check our archives for more posts about Cemetery Cat Designs, but I especially recommend the first post I wrote about Psynde's jewelry, and the interview Wicked Little Pixie did with her (also linked in that post). Your work is very good and I appreciate you and hopping for some more informative posts Share lovely Birthday wishes and Exclusive Birthday wishes sms for your loved ones. 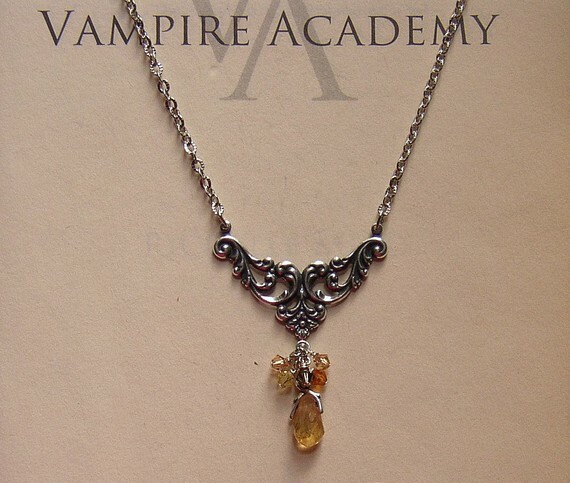 Nice Jeweler happy birthday wishes to you Vampire academy. Hey vampire academy amazing happy birthday sayings for you. Amazing article. Thank u so much for sharing with us. i loved the content. This is really something which can help me improve my progress regarding this topic. Happy Diwali Images Thanks for the mild and prosperity that you bring into my own life. Have a joyous Diwali! The sunlight doesn’t shine there, nor do the moon and the stars, nor do lightning glow? All of the lights of the planet cannot be compared to a beam of their interior of the Self. Combine yourself in this light of lighting and revel in the ultimate Deepavali. happy Diwali Quotes in english May within this Diwali, you’re blessed with Great luck, Wealth, Prosperity, and Happiness. Wish you and your loved ones a very Happy Diwali. Since the festival of lights, Diwali conveys an important message that transcends religions: the requirement of doing good and bringing light into the world. Direct us from untruth to truth, from darkness to light, from death to immortality with this auspicious moment.